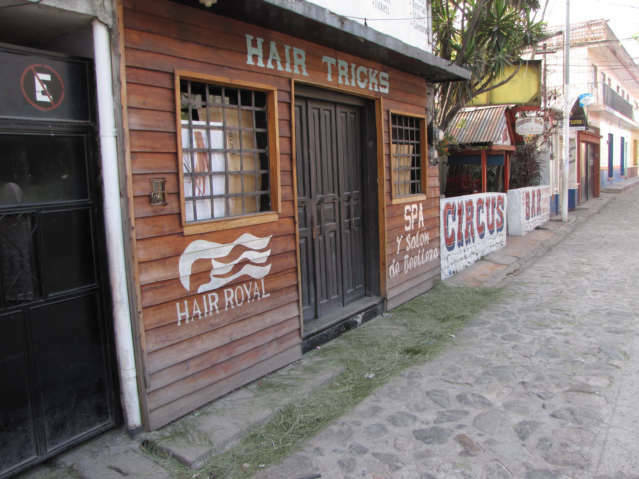 In Panajachel, Guatemala on Lago Atitlan there is a tradition it appears of buying Pine Needle and putting in front of their business on Christmas Eve. 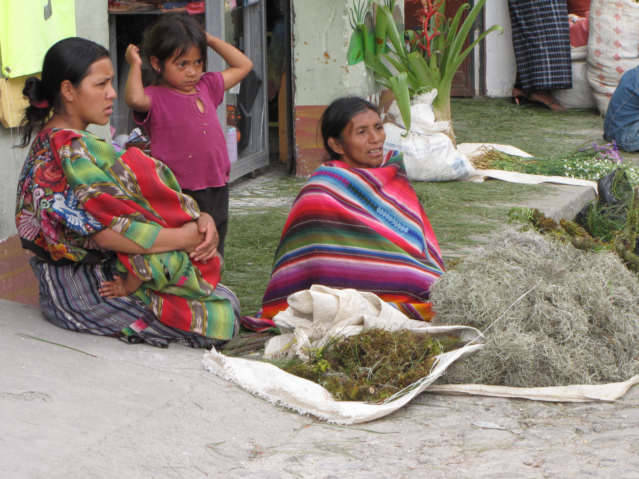 Mayan women selling pine needles on Christmas Eve in Panajachel, Guatemala across from the Church near the market. The competition selling pine needles on the opposite corner. 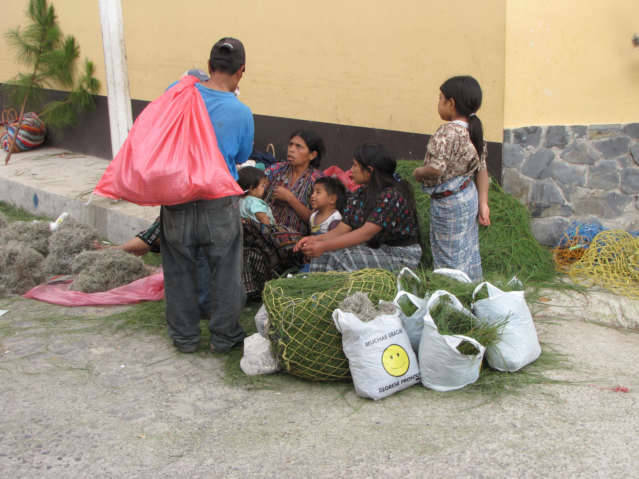 People in Panajachel, Guatemala on Christmas Eve purchased Pine needles and sprinkled them in front of business. By the end of Christmas day, the majority of the pine needles were cleaned. Does anybody know the reason for this pine needle tradition?